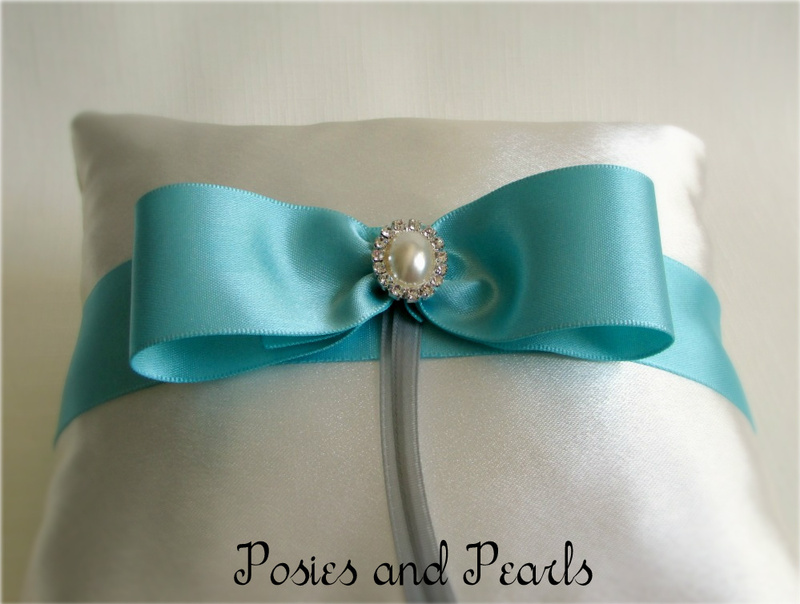 Elegance, simplicity and a pop of color! 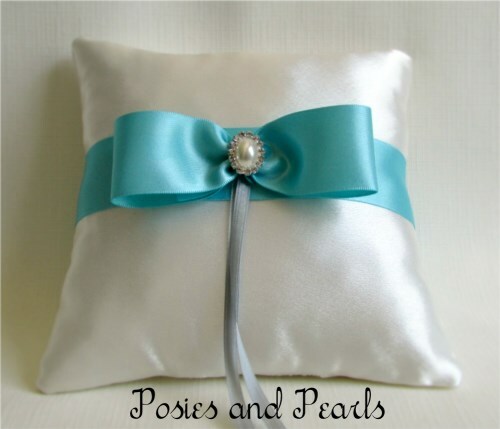 Luxurious ivory satin is the starting point for this ring pillow. 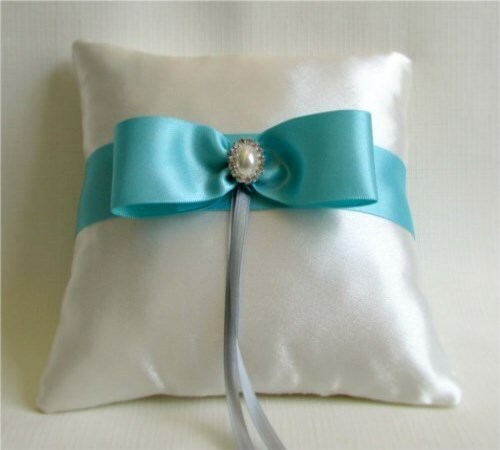 A smooth, turquoise colored satin sash reaches all of the way around the pillow and ties in a bow at the center. The gorgeous pearl and rhinestone centerpiece is the finishing touch. Simple silver satin streamers are in place so that you may securely attach your wedding rings. 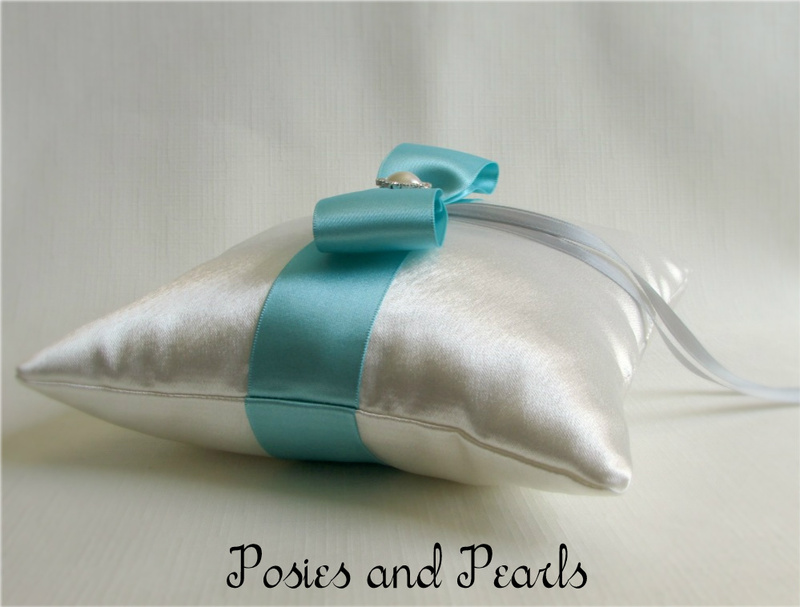 100% satin, fully lined with 100% cotton and filled with 100% polyester fiber.